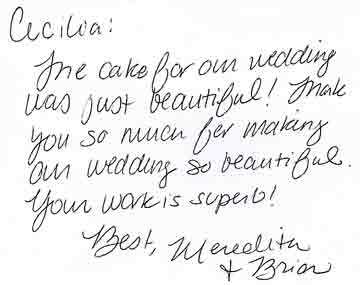 Click 'Back' to return to our Wedding Cake pages. 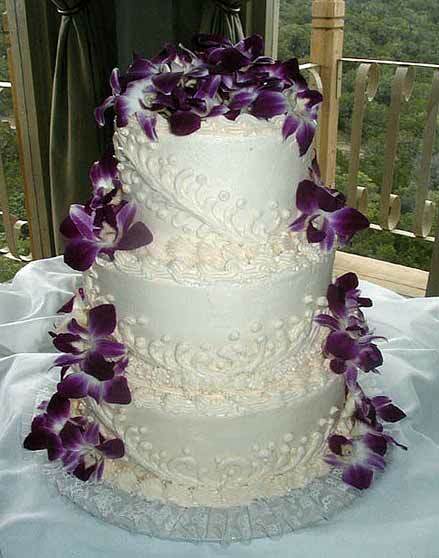 Deep purple orchids make this a stunning cake. 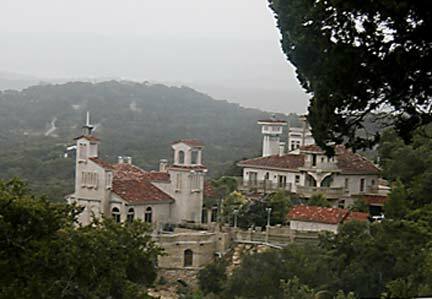 This wedding was held at Villa Antonia - one of the most beautiful venues in the Texas Hill Country, outside of Austin. Below: A note from the Bride.